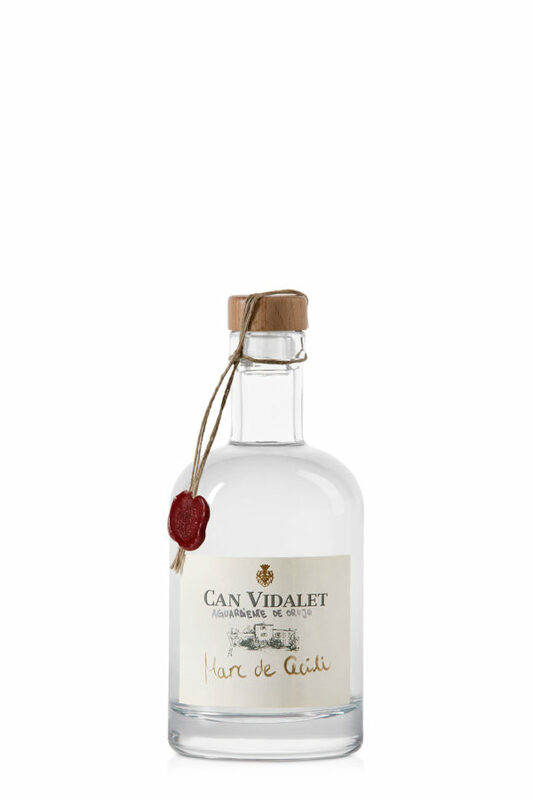 Pomace Brandy distilled in the Winery of Can Vidalet. Clear in colour, clean and bright. On the nose we find aromas full of nuances, such as aromatic herbs, white and citrus fruits, combined with hints of roses and herbs . On the palate it’s smooth, fine and elegant. Selection of pomace (fermented skin and seeds) from white and red varieties.